Question: How to Improve Your "Look"
and 1 - 2 hours of detailed work. First Impressions are Everlasting - let me help! Click the sample images below to enlarge and scroll with right arrow. What is the Difference between a good and bad "touch up?" We have all seen bad magazine covers where the retouch artist gets a little too exuberant and goes too far, making the person too skinny, or too young. Sometimes the retoucher may accidentally leave a 3rd arm in the wrong place and late-night TV comedians have a field day with that image or they may even go viral online! As with any fine art it takes a skilled, experienced craftsman to understand the finer nuances. It is the combination of many tiny adjustments and modifications that actually make the final image a great one. Developing this technique, along with this trained eye takes many years to refine. How is a Beautifully Retouched Portrait Created? It takes Client and Photographer Collaboration. Most clients trust me to decide which of the steps I offer with my professional retouching services (detailed below) to use to fully enhance your final portrait. I consult with you prior to providing this service on how much, or how little of your portrait you would like enhanced (on a 1 to 10 scale). Your portrait session is all about YOU and the final results you would like to achieve. Wardrobe and Makeup planning is done prior to the photo shoot, but after completion, more enhancements can be added based on your tastes. 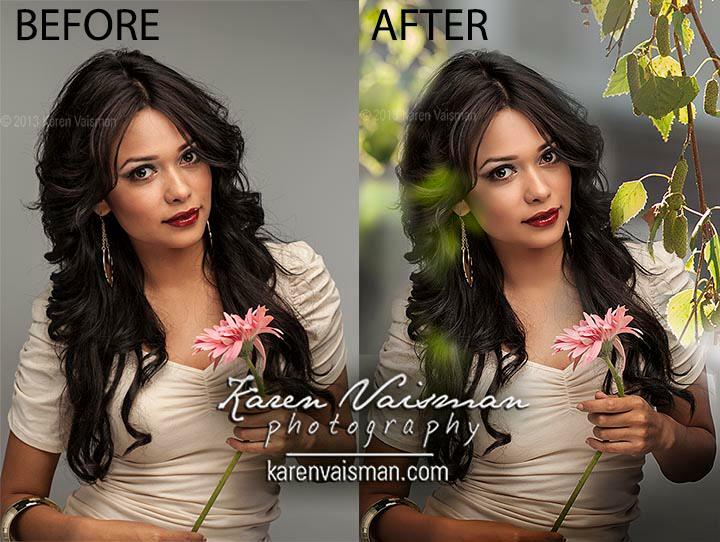 Professional Retouched Before & After Photo Service? Under Eye Circles – Careful reduction in under eye circles digitally can enhance your appearance. Too much can make a person look phony. Delicate artistic handling of this area completely updates your appearance. Catch lights (white spots) brightened to add life and sparkle. Whites of eyes brightened to make eyes look wider and more youthful – Any discoloration removed (yellowing or redness) while still keeping texture and 3-dimensional detail. Your Iris color will be slightly enhanced to brighten eyes. 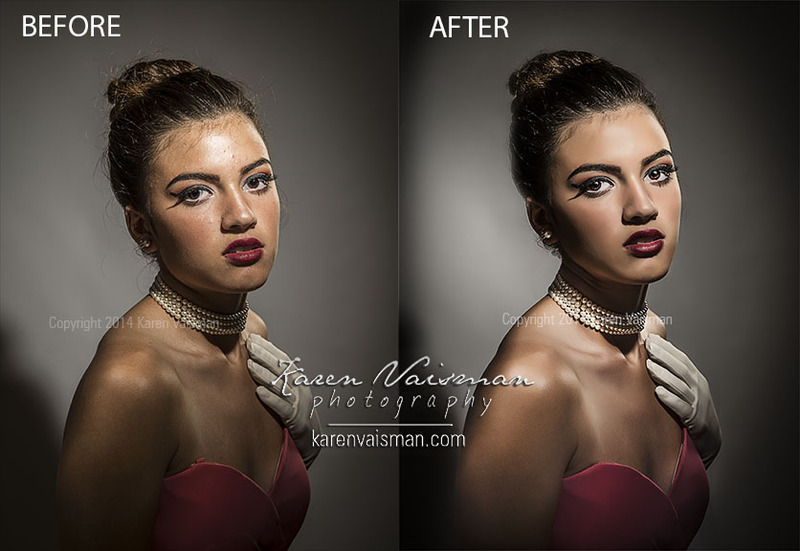 Eye retouching, if done correctly, will make your portrait amazing! Eyeglasses - People who feel more comfortable wearing their glasses are encouraged to do so. Proper positioning in your pose will help alleviate glass-glare, but should it occur, retouching will remove any unwanted spots. Eyebrows – Fill, shape, darken – adds character. Loose hairs removed. Teeth – whiten, fix chips, straighten, add missing teeth, remove accidental lipstick stains. Hair – remove stray hairs from clothing and background. Remove stray hair over eyes. Wrinkles and Crow’s Feet – soften, lighten – but NOT removed – keeping your personal facial character intact. Laugh Lines – deep facial lines around the mouth, softened and lightened but not removed. Clothing Creases and Folds – lighten clothing folds, softening wrinkles in clothing (especially near a man’s tie and neck area). Bumps in fabric removed. Double-Chin Removal – Neck and Chest Smoothing – Just this detail to neck, chest and chin area alone can improve appearance dramatically. Lint & Stain Removal – Despite your efforts to come as clean and pressed as possible, my camera gear is so sharp it will pick up lint, spots and hair the naked eye has trouble seeing. Careful detail work cleaning up your photo elevates your image to the next level rendering a clean, crisp and highly professional appearance. Portrait – “Vignette” - slight darkening photo around edges to draw eye toward face (for portraits with darker backgrounds). Color Enhancement – the final touch is to brighten and darken areas in the entire photo needing a bit more brightening, then “popping” the color in areas needing more focus and attention. Image Optimization and Sharpening – In my full-service session you will receive your portrait in 2 digital sizes, large for print, and small for online. Each image is optimized individually based on size and use for maximum sharpness. This one final detail will make your image crisp and clear on the computer, on mobile devices and on printed products and is handled in two separate ways. Details count! Skin Softening (on a 1 to 10 scale, based on your preferences). Your youthful appearance is personal and we will discuss how much or little you might like. Digital Eyelashes – I offer digital makeup enhancements with my retouching service (included in your session, if desired.) I will add eyelashes on both top and bottom, which will really enhance your look. Of course you can also use a professional makeup artist, or eyelash extensions, but this service offers an alternative to women who prefer less makeup but would still like to look more enhanced in their final photo. Trying on clothing prior to your photo session is highly recommended. 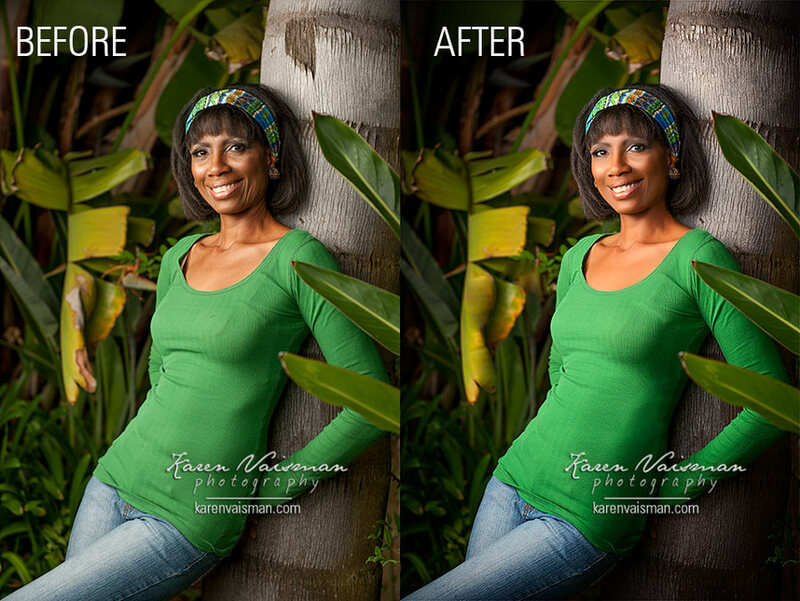 Many of my clients go shopping right before their session and do not realize that a blouse’s “V-neck” pops open once a jacket is put over it, makes posing difficult. Sheer fabric with a dark bra or undergarment – once the bright lights flash – will make clothing “see through” and very difficult to retouch. Jackets should button and close properly without pulling (too tight). Jackets that are too large will need to be clamped, resulting in a multitude of unwanted wrinkles, bumps and bulges in the fabric. Some of this can be retouched, but proper fit is always recommended. 5 O’clock Shadow – This is really tough to retouch without skin smoothing (not recommended for men.) Shoot time in the morning is recommended, or shave carefully (all tiny hairs) just prior to the photo session, careful not to cause unsightly nicks, cuts or redness. Skin softening over “facial stubble” is not recommended. Bald Spots – filling in hair is a great way to fix a receding hairline. For bald men, retouching the shine on a clean bald head is important not to draw the eye away from your face with a bright white reflection from the studio lights. Gray Hair (Facial or Head) – can be darkened, to subtly add to a more youthful look. Digital Suit Tailoring – I highly recommend trying on all clothing prior to the photo session. Men’s shirts will often “bunch” near the tie once a jacket is put on – causing many folds and wrinkles. Collars with stays recommended (curled collars difficult to retouch) and do not look very professional. Jackets that fit properly are a must. Jackets should close completely but not be too large. Loose clothing will require clamping in the back causing unsightly wrinkles and folds. Digital suit tailoring can be done, but it is always best to check proper fit prior to your photo session. Ties - Ties knotted close to top of neck to cover the top button is preferred. Gaps near the neck can be retouched but are often quite difficult to fix. Selecting a shirt and tie that fit properly with close attention to this detail is very important prior to your photo session. 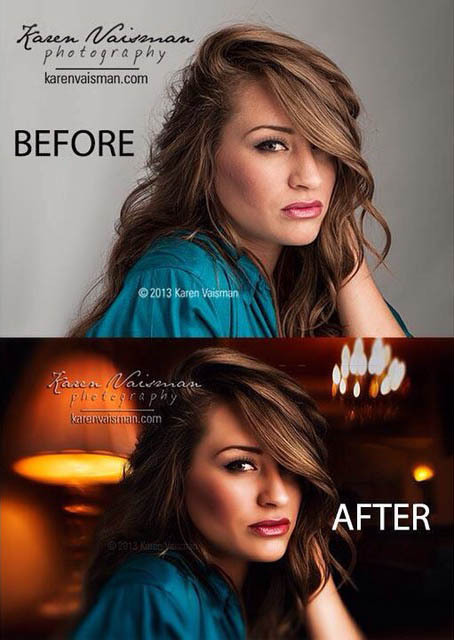 Time Well Spent - 1 - 2 Hours of Careful Retouching To Improve Your Look! All of the above enhancements usually require 1 – 2 hours of careful detail work in the retouching process and is included with your full-service Corporate Portrait session. It has taken years to learn the fine nuances on how to craft an image to be subtle...just enough...not overdone. I take great pride in my work. We will work as a team to produce the perfect portrait results for your needs. I am a master photographer with over 15 years of Professional Photography and Retouching experience. I have a Bachelor of Fine Arts in Photography from Syracuse University in New York. 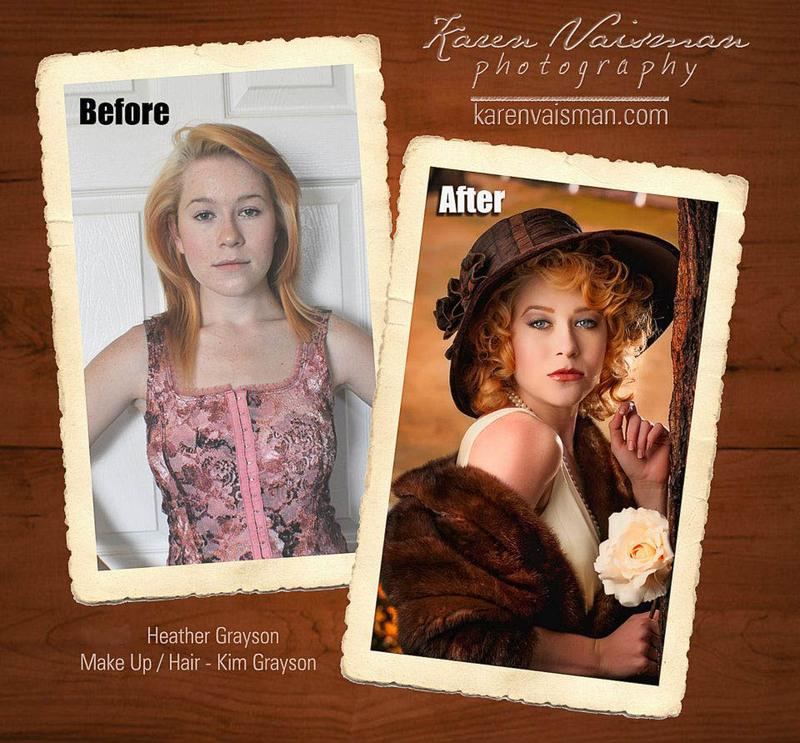 I'm known throughout the Los Angeles area for the fine art of retouching. 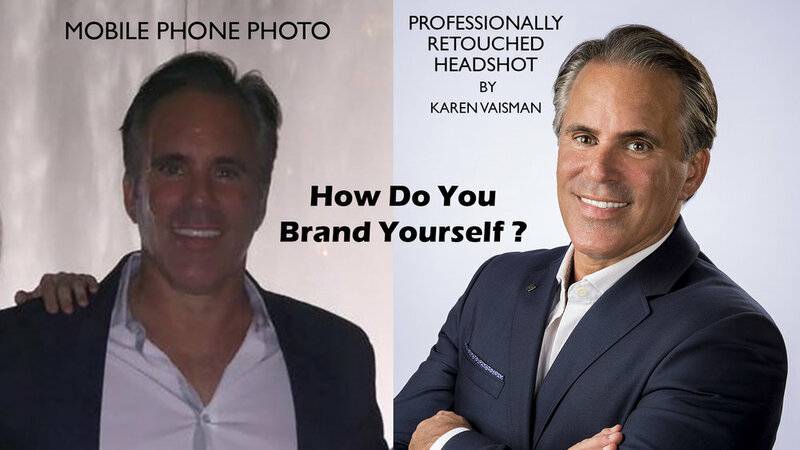 I specialize in offering custom Corporate Headshot sessions for individuals and small groups in my Agoura Hills studio. Premium Photo Selection Services - I spend 30-minutes reviewing your images together with you. I offer professional guidance in selecting your finest images. You will have the opportunity to compare you best poses side-by-side on a large screen immediately after your session. In-studio headshot sessions recommended. I do shoot outdoors as well, but suggest in-studio. An indoor portrait session offers more convenient time-of-day options with more control of light, wind and temperature, which will help your skin and hair look its best! 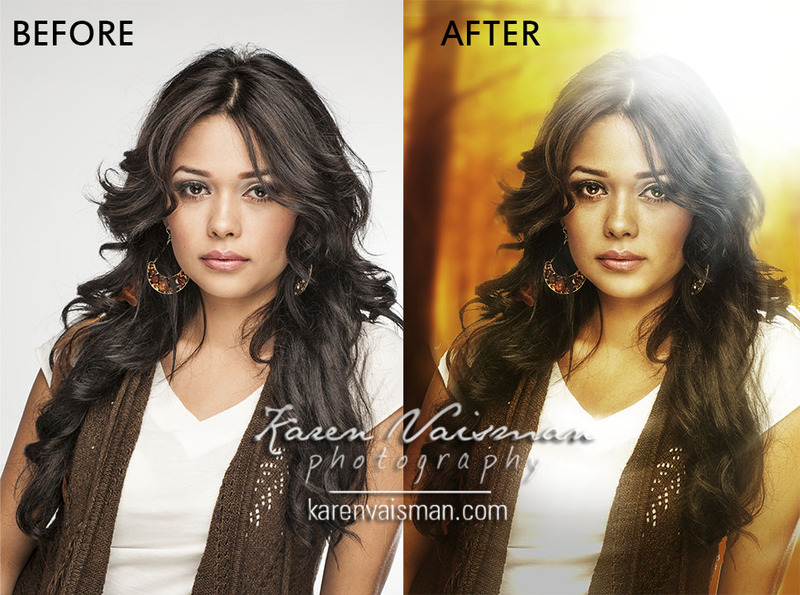 Our full-service session includes complete retouching services on your portrait(s). We do offer a 15 minute - mini-session (which does not include our retouching services) for those needing a more basic, unretouched, low resolution (web only) sized file. For Larger Groups and On-Location: I do offer on-location services for staff portraits and large group corporate photography in your offices located in Los Angeles and Ventura counties within 30 miles of Agoura Hills. Print Version - High resolution (300 dpi .jpg) , to be used for your business collateral and printing needs. Web Version - Low resolution (72 dpi .jpg) - optimized for a crisp look for your website, social media or LinkedIn. Custom Prints Available - I also offer archival luster prints in both color and black & white. Custom Creative Digital Background Artwork - "Virtual backgrounds" if you would like to substitute an outdoor look (see samples here) or a different "digital" location or background. I offer custom sessions and packages, depending on your needs. Please contact me directly for pricing and packages. I'm looking forward to working with you! Ready to ELEVATE your Corporate Portrait? ... Just give me a call! Contact Us...We will be In Touch shortly!